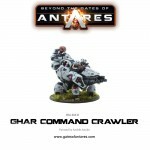 Pre-Order: Ghar Support Force with Command Crawler! 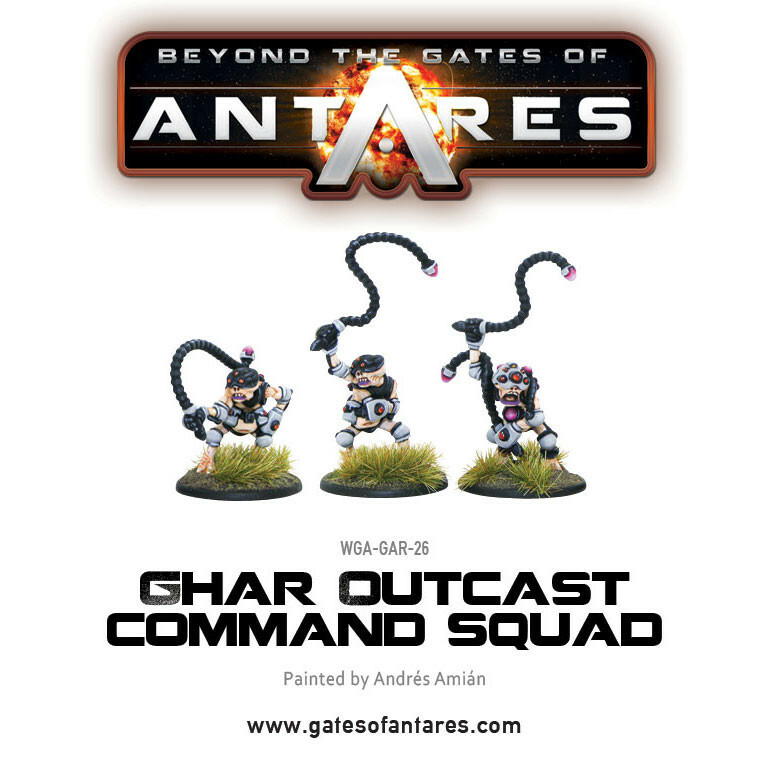 Following last week’s release of the Algoryn, Boromite, and Freeborn Combat Forces – this week we have EVEN MORE Antares forces on their way in the form of Support Force bundles for the Concord and Ghar! We’ve designed this Support force as a perfect add-on to the Ghar Starter Army box sets. 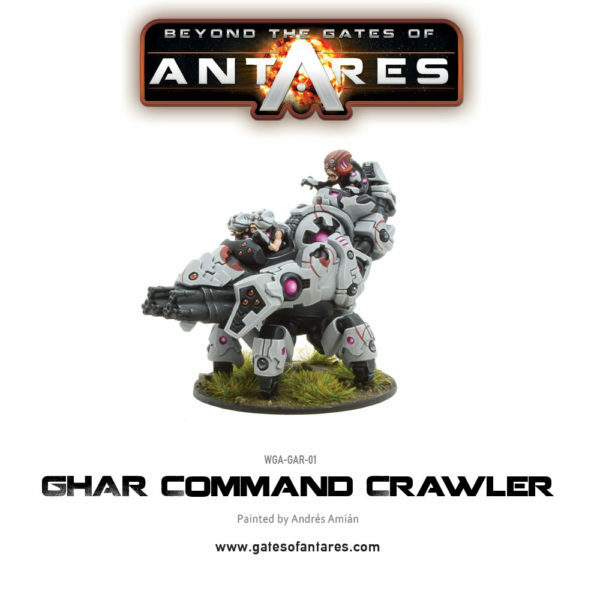 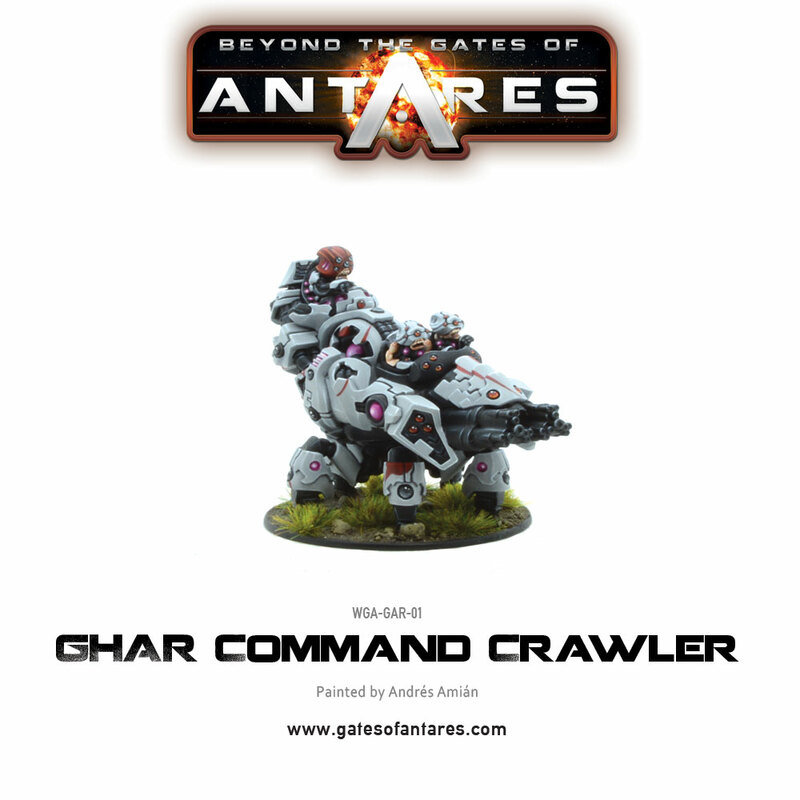 This force introduces the brand new Command crawler, which packs some fearsome firepower, helps you order other units on the battlefield, and allows you to take support options in the form of the also brand new Ghar Disruptor Bomber wielding battlesuits! 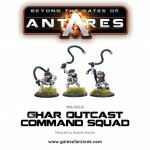 AAARRGH what a set! 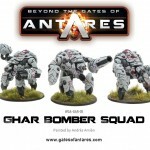 The big thing about this set (apart from the Command crawler of course) is that we’ve included an extra plastic Ghar Bomb Trooper. 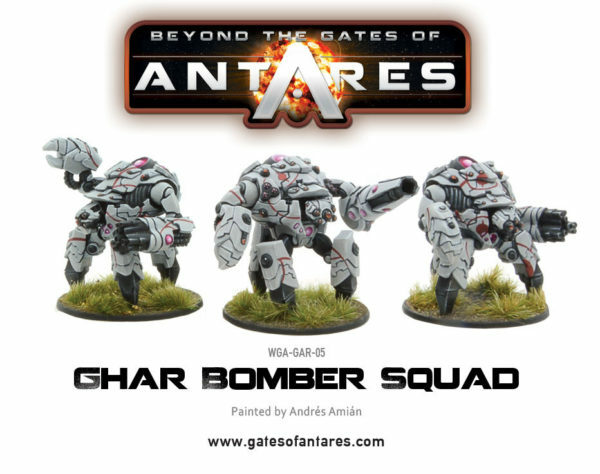 This additional Bomb Trooper can be added to the new Bomber Squad box set to make two squads each with two models – maximising the number of those Disruptor Bomber weapons! 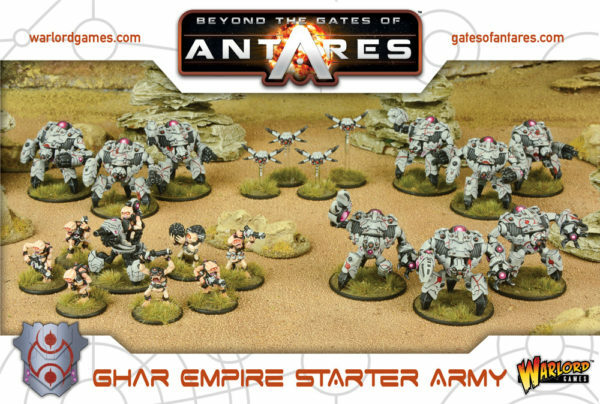 Add in the extra outcast command and you should easily be able to expand your army to a sizable 1500 point ‘Offensive Force’ to crush all opposition!